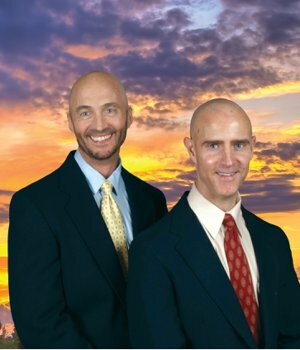 Jupiter Florida waterfront real estate at Jupiter Harbour homes for sale is located on the Jupiter Florida Intracoastal waterfront real estate, as close as you can possibly be to Jupiter Inlet. This community has it all. Residents of this gated Jupiter waterfront community have stunning Jupiter Florida real estate waterfront views and some properties have direct access to the marina. In Jupiter Harbour, you will enjoy community amenities and convenient recreation, shopping, and dining just minutes from your front door. Originally built in the early part of the 1980's this waterfront community was built with abundant space to be enjoyed by the residents who now enjoy the large amounts of green space. Jupiter Harbour real estate waterfront consists of townhomes and condos divided into five distinct sections: Jamaica, Bermuda, Antigua, Bahama, and Eleuthera. Whichever you choose, you will have gated access, 24-hour security, and trash service at no extra charge. 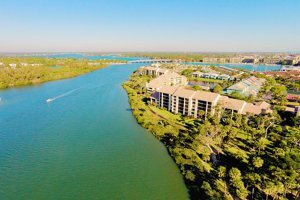 Homes for sale in Jupiter Harbour come in a range of prices, though the breathtaking waterway views do come at a higher price range. For boating enthusiasts, some Jupiter Harbour condos are situated near the marina’s docks to easily store your vessel. Recreation for residents of Jupiter Harbour homes is nearly endless. Built-in community amenities including pools, tennis courts, waterfront access and a walking path that flanks the entrance. Coming up this summer - the entry (from Rt 1 to behind the guardhouse will be converted from tar to pavers); the tennis/pickleball courts are being resurfaced; the piece of grass to the north side of the tennis courts is being evaluated for a few entertainment courts - horseshoes, bocce and shuffleboard. The Jupiter Harbour waterfront real estate community boasts one of the most prized locations in the area. 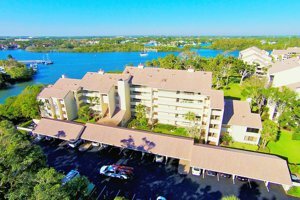 With easy access to all of the local attractions including proximity to the large sandbar hangout at low tide along the Loxahatchee River. Boaters', Kayakers' and Paddle-boarding residents can stop their waterway travels to catch up with each other and meet new friends. Take advantage of the proximity to the water and spend an afternoon fishing or boating. For a more active outing, try out one of the many popular aquatic activities, such as surfing, stand-up paddleboarding, snorkeling, or kayaking. Paddle out from your own home across the Jupiter Florida waterfront Intracoastal and into the new secluded kayak and paddle-board only park setting where that's right no motor boats allowed providing an excellent choice for those who need to get away from it all and just chill at times. Meander through the well-designed canals designed for protection and natural preservation with abundant opportunities to enjoy a more natural habitat. Practice your skills at one of several nearby golf courses. Jupiter’s spectacular beaches are a short drive away to soak up Florida’s sun. Both parks and beaches often feature recreational amenities like picnic areas, playgrounds, and sand volleyball courts. Harbourside Place, found on the edge of the Riverwalk, boasts an amphitheater for live music and other popular events. Amazing dining options all around like, Calavera's Cantina, Tommy Bahama, Bravo, Tiger Woods only restaurant, "The Woods" and more. An assortment of museums, art galleries, and live entertainment venues give you choices for a cultural outing. Across the street, you can catch the latest blockbusters in style and comfort at Cinepolis Luxury Cinemas, which features a full bar, reclining leather seats, and in-theater wait service. Jupiter Harbour waterfront real estate for sale is close to excellent shopping and dining. At Harbourside Place, you can find dozens of unique retailers and boutiques for everything from fashion to home goods. There are many shopping centers nearby to find Publix groceries, national retailers like TJ Maxx, service shops, and local boutiques. Fresh seafood is a prominent feature in many restaurants near Jupiter Harbour homes, yet finding worldwide cuisines is also not a difficult task. Whatever you’re craving—a quick pit stop for a burger and fries, an upscale steakhouse, a cozy cafe—chances are good that it’s close by. Restaurants situated riverside offer meals with a view. Check out the newly constructed 1000 North along the Jupiter Florida waterfront inlet and Intracoastal. Guests can enjoy a large selection of modern American regional dishes while viewing the Jupiter Inlet and the famous Jupiter Lighthouse. Get MORE JUPITER INFORMATION HERE. 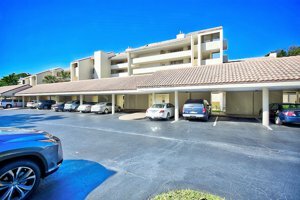 Travel in and out of Jupiter Harbour is easy thanks to the community’s proximity to US 1. You will never be far from fun when living in Jupiter Harbour. Residents of Jupiter Harbour are served by the School District of Palm Beach County, which boasts top-rated programs, including Jupiter Community High School. For alternative education, there are private schools in the area.